Kylie Jenner shows off a cute sizzling swimsuit on her Instagram as she enjoys her vacation. Y'all might be still stuck on discussing the Egg that knocked down Kylie Jenner's most liked the Instagram picture, but she is too cool to care. The 21 years old reality star, knows the egg won't affect her spirit as she currently enjoys her tropical vacation. As a matter of fact, Kylie even wants everyone to learn her vacation enjoyment, as she recently sizzled her Instagram feed by sharing a picture where she shows off one of the cutest swimsuits she probably owns. The picture shared by Jenner is too cute, we can't take off our eyes from it. The Keeping Up With the Kardashian's alum lays on a yacht with a beautiful view of the blue sea behind her, making sure she flatters her beautiful curves in the printed light brown swimsuit. The hot mama decides to accessorize her swimsuit by wearing golden bracelets, chain and an anklet. To keep her eyes safe from the sun, Jenner put on a matching hat, as she can be seen laying her hands on it in the respective picture shared by the young star. And knowingly the vacation picture of Kylie surpassed over 5 million likes so far. "If you’re happy and you know clap your hands 👏🏼"
Prior to her caption, a user following the name of t.ara.dawn replied being a little envious. "i’d be happy if i was filthy rich too sis"
In addition, Onia designed the brown cute cow print one-piece swimsuit Kylie wore for her vacation. The swimsuit comes with a sparkling belt attached to it as its clearly seen on Kylie. As a matter of fact, the gorgeous swimsuit cost £151. Previously, the youngest billionaire to become posted some series of pictures sitting by the beach and enjoying an evening lunch. 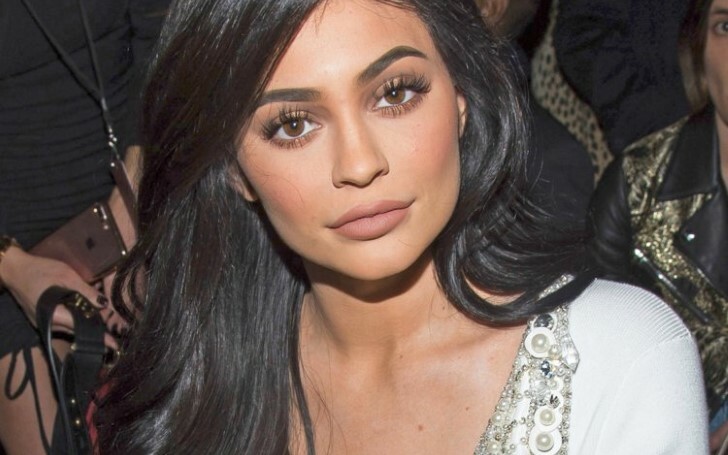 Besides her elegant pictures, Kylie posted some pictures along with her boyfriend Travis Scott, daughter Stormi Webster and bestie Jordyn Woods.